After retiring from the Ohio Ballet, Idy Codington ran her own studio in Brookline Massachusetts, danced — nationally and internationally — with the Kamikaze Jitterbugs and performed 19th-century dance with the Commonwealth Vintage Dancers. Idy graduated from Smith College in 2011 and received her MA in American Dance Studies from FSU in 2012. 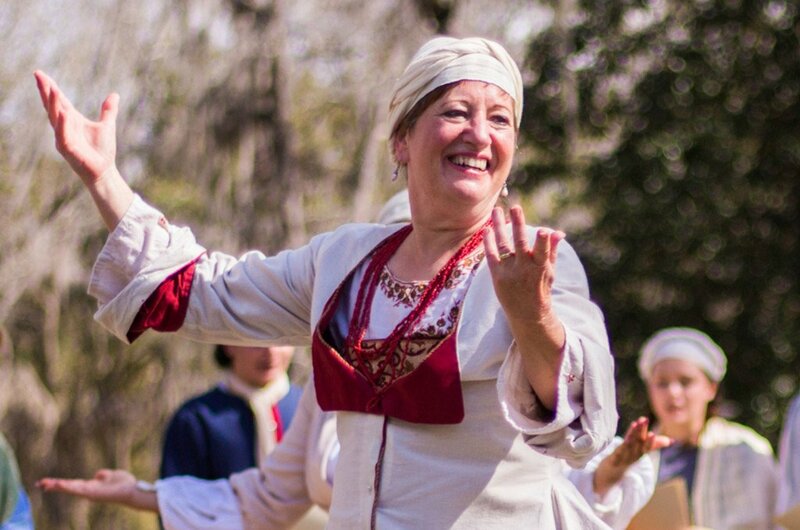 Idy still takes ballet at FSU, helps run the trilingual historic theater group, Theater with a Mission, and teaches dance at Tallahassee Community College and Monticello Acting & Dance Co. I am the most creative with people around me who are listening to the same music — people who are able to help me reimagine the material I give them. If I am creating a historically based dance, I create off the posture, timing and material I find from the past and use music and friends to make the dances. What fictional character would you like to meet and bring to life? Elizabeth Bennet from “Pride and Prejudice.” She knows what she wants and gets it. WFSQ classical and old-fashioned rock ‘n’ roll. I’m listening to Led Zeppelin and Haydn quartets. I read a lot of literary candy, approximately a book every two or three days. “The Girl with the Dragon Tattoo” series by Stieg Larsson is one of my favorites because I admire the main character, Lizbeth Salander, for her bravery and indomitable will to survive. It’s time for dinner; what are we going to eat? Z Bahardi’s, the best Italian food in this town. The movie “Enchanted April.” Four women who barely know each other and don’t have much in common live together in a crumbling, but beautiful, Italian villa for the month of April. They drink wine, eat great food and build support for even the most self-centered and prickly women to become a team. At the end of the month, all see life and love in a renewed way. After recovering and trying the same thing again, take your life in a different direction. It is possible to nd other aspects of yourself that might be equally fabulous. I want to be remembered for being someone who brought the fun of dance to audiences, students and coworkers — someone who enriched and cheered the lives of the people I met. Want to learn more about Idy? Visit tallahasseearts.org/artist/Idy-Codington to learn more about Idy and over 950 artists of all creative disciplines in our Artist Directory. Visit TallahasseeArts.org for a complete list of arts and cultural events, public art, arts education and more on the Tallahassee Arts Guide.